Whether traveling to the Midwest for business or pleasure, Sixt rent a car in Minneapolis, MN, will help you to get the most out of your visit. Our prime location for car rental Minneapolis is at the Minneapolis St. Paul Airport, ensuring you a seamless journey from air to land. Our extensive fleet has a large selection of top brand rental cars to cater to your budget and mobility needs. In addition, most car rental in Minneapolis deals come with unlimited miles enabling you to freely explore Minnesota. Book easily online or via our mobile app and get yourself ready to take to the road in the Twin Cities and its surroundings. 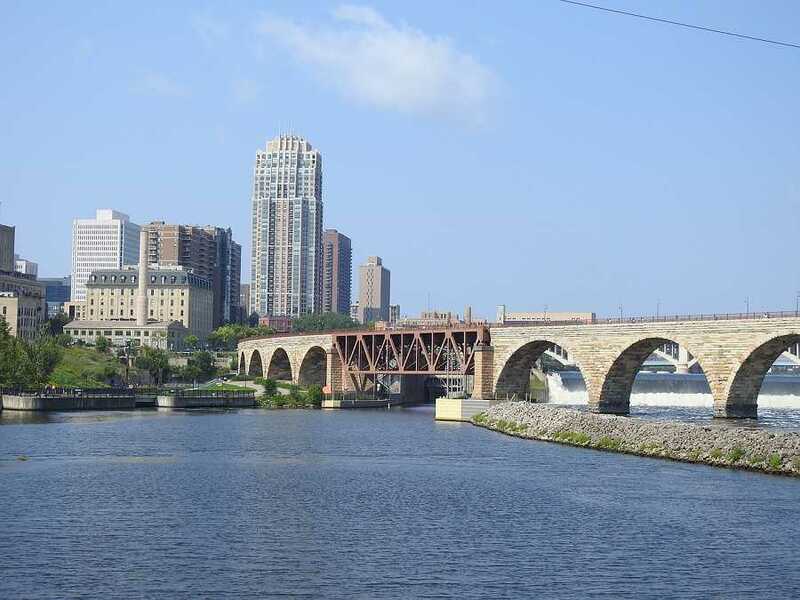 The metropolitan area of Minneapolis and St. Paul is known as the Twin Cities and although geographically close they each are home to a distinct vibe. A car rental in Minneapolis allows you to access the attractions of each city and the outdoor areas found not far from both. With the affordable rates on our premium vehicles, you can tour around with ease in a sedan or SUV from manufacturers such as BMW or Mercedes-Benz. Do a price comparison on our booking page between the top quality rental cars on offer during your desired dates. With Sixt, you also have the option to reserve the rental vehicle of your choice thirty minutes prior to pick up with our Sixt app. Otherwise please be aware that reservations are only guaranteed for the car category as specific vehicle models are subject to availability. The Minneapolis area is perfect for a summer vacation. If the weather gets too hot, there are plenty of lakes within the city and nearby to cool off in! Temperatures are, on average, in the low 80s with humidity. The summertime is perfect to visit the Walker Art Center and Minneapolis Sculpture Garden. Head to Minnehaha Park to see the waterfall or walk through Loring Park in the center of the city. There are many great craft breweries and restaurants in the city, and enjoying them outside is a great way to enjoy the weather. The nice weather is also conducive to a tour of Paisley Park, the former home and studio of the musician Prince, or a tour of his favorite places around the city. At the end of August through Labor Day, be sure to visit the Minnesota State Fair and eat everything fried. In June, check out the Northern Spark! Festival with experimental art and culture on display. Along with our diverse selection of up-to-date vehicles you also can choose from our numerous extras to tailor your rent a car in Minneapolis to your needs. We offer great rates on add-ons like GPS and additional driver coverage to help you have an optimal driving experience. You can also take advantage of our child seats that are suitable for babies, toddlers and small children and avoid the hassle of having to bring one along. Our flexible time period rentals also allow you to arrange the rental that best suits your plans. You can rent a car for the day, a weekend, a month or longer. There are twelve main roadways in the Twin Cities that can be used to connect to other popular Minnesota destinations. When arriving at the Minneapolis Saint Paul Airport you can take either Interstate 35W and 94 are to head into downtown Minneapolis. Both interstates will connect you to the I-494/694 beltway around the metro area. The main I-35 freeway is split into two routes, I-35W which navigates around Minneapolis and I-35E which cuts through nearby St. Paul. You can stay updated on delays and accidents through the Minnesota 511 app or other traffic apps that can provide alternative routes. The city streets of Minneapolis are laid out in a grid system and the city is divided into four quadrants: North, South, Northeast and Southeast. Minneapolis also uses a rather unique multi-colored street signs system that formerly indicated the priority of plowing during winter storms. Nowadays they designate certain kinds of streets with blue signs indicating Snow Emergency Routes and dark green signs indicate scenic parkways that ring around the city and the lakes. Rust-colored signs are for streets that primarily run east-west while light green signs are for roads running primarily north-south. Lake Calhoun is the largest lake in Minneapolis and situated along the Grand Rounds National Scenic Byway, which connects other lakes in the area. Cycle or walk along the trails or head into the water if the weather is right. With three swimming beaches and the chance to canoe, kayak or windsurf a trip to the lake will certainly keep you busy if you like. Located in Saint Paul along the Mississippi River this fantastic institution includes a massive temporary exhibit gallery, five permanent galleries, and ten acres of outdoor exhibition space. From hands-on areas to its display of a rare complete Triceratops specimen and other dinosaur-related collections the museum will fascinate all ages. You can see amazing works of art at two world-class institutions, Minneapolis Institute of Arts and the Walker Art Center. The latter also hosts the Minneapolis Sculpture Garden, the largest urban sculpture garden in the US, featuring works by iconic artists like Claes Oldenburg, Richard Serra, and Louise Bourgeois.